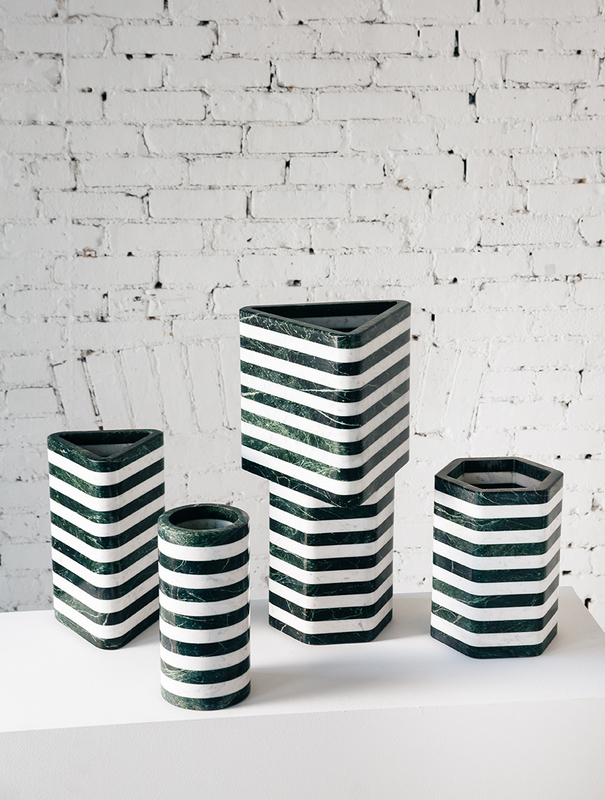 This collection of four vessels launched in 2018 and is the debut of a larger series of sculptural objects by Fort Standard. This series explores the use of lamination to push natural materials beyond their conventional limits and applications. Precision cut, stacked and laminated rings of green and white marble make up the thin walls of the architecturally inspired vessels. All works in this collection are made in small batches, only becoming available upon release. Each piece is unique and signed and dated by the designer Gregory Buntain. For more information or purchase inquires, please see our tear sheet here or email sales@fortstandard.com. *The Triangle, Circle and Hexagon-Triangle Stacking Vessels have sold. Only the Hexagon version is currently available.